The Atlantic editor takes over from Mark Jannot. 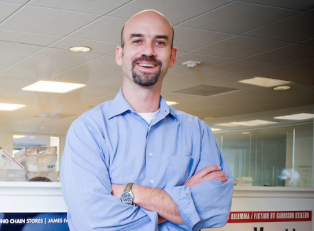 The Atlantic’s president and editor in chief James Bennet has been named the American Society of Magazine Editors (ASME) president. Bennet is succeeding National Audubon Society vp of content Mark Jannot, who will continue on with ASME’s board after he exits office. Also elected to ASME roles were Parents editor in chief Dana Points as vp of ASME; Outside vp and editor Christopher Keyes as secretary; and THR president and chief creative officer Janice Min as treasurer.